GCA-07WU Price $237.95 In stock. GCA-06WU Price $207.95 In stock. 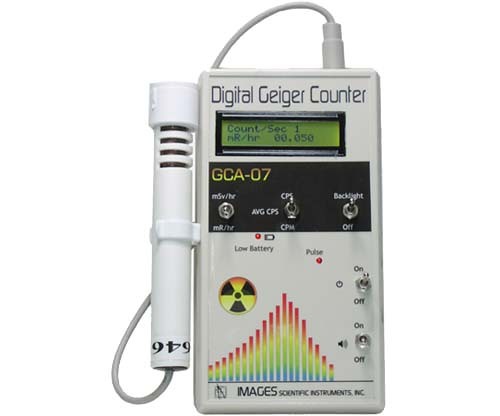 THE GCA-06W and GCA-07W DIGITAL GEIGER COUNTERS are the only Geiger counters you will ever have to purchase. 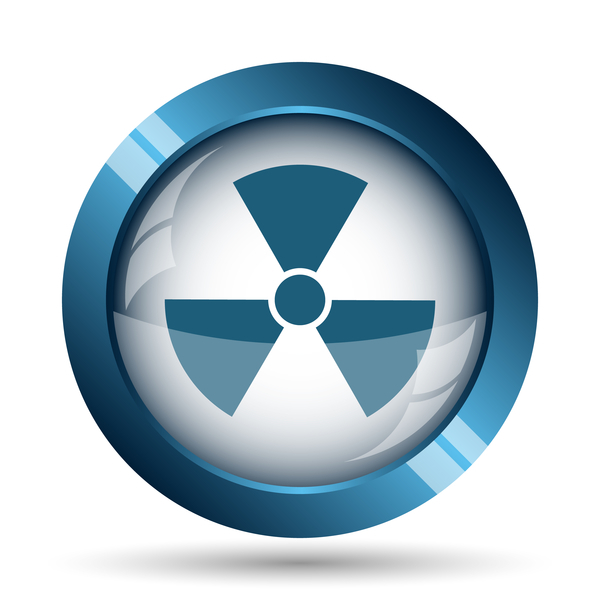 They have a proven track record detecting and measuring nuclear radiation in hospitals, medical research, college laboratories,industrial settings, transport containers, top soil, granite table tops, scrap metal, oil fields, objects and interior spaces. CASE SIZE: The GCA-07W measures 7 ½" (length) x 4.1" (width) x 1 ¼" (height). 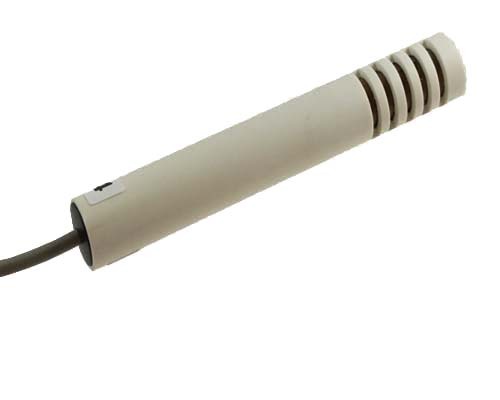 The GCA-06W measures 5 ¾" (length) x 3 ½" (width) x 1 ¼" (height). 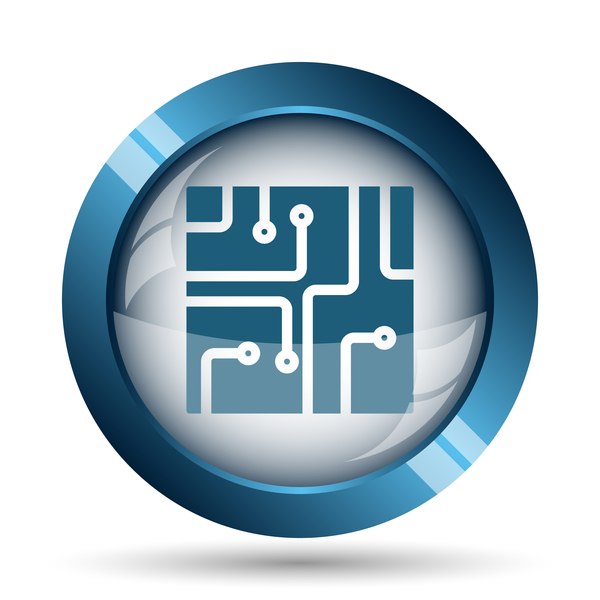 INTERNAL SENSOR: The internal sensor makes it easier to search materials and to detect surface contamination. COUNTING RANGE: 1 Count Per Minute (CPM) To 10,000 Counts Per Second (CPS). RADIATION RANGE: 0.001 mR/hr resolution to 1000 mR/hr Range (Imperial Measurements); 0.01 uSv/hr resolution - 10 mSv/hr range (Metric Measurements). 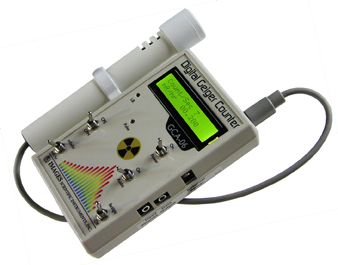 DETECTS IONIZING RADIATION: Alpha particles above 3 MeV in energy. GM tube has a thin mica window that allows alpha radiation to be detected. Beta radiation above 50 KeV; X-Ray and Gamma radiation above 7 KeV. 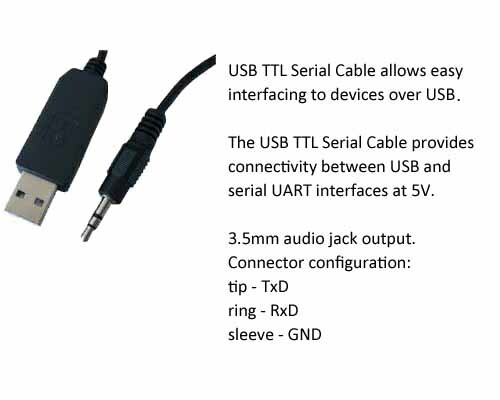 INTERNAL SENSOR constructed using an American made LND 712 Geiger Mueller (GM) Tube. The GM tube has a .38 effective diameter. Alpha radiation end window comprised of 1.5-2.0 mg/cm2 mica. Only the first month rental of $100.00 may be applied to purchase of a new GCA-06W/GCA-07W Geiger Counter. Customers are responsible for shipping charges. 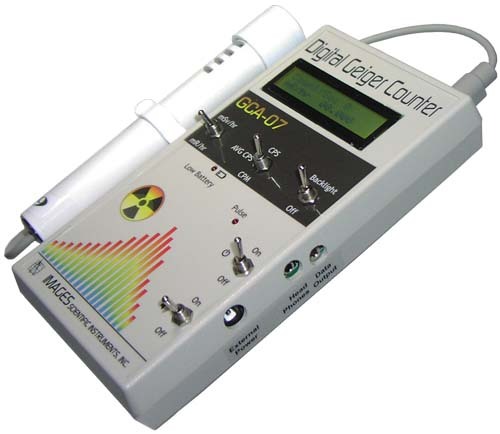 Used Digital Geiger Counters. 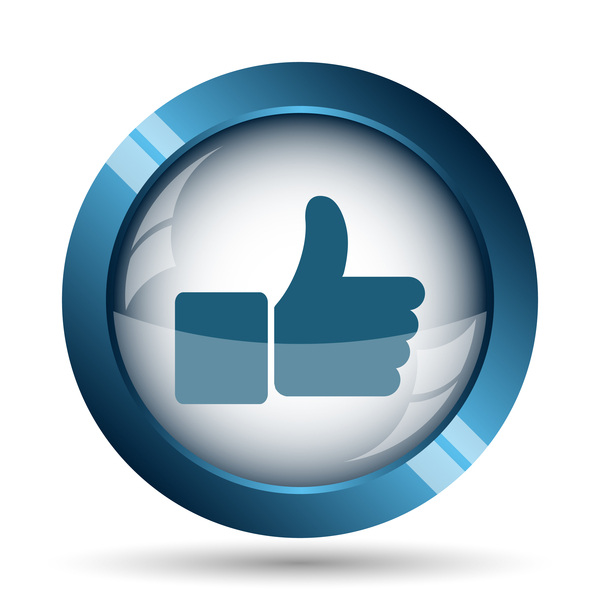 Pre-Owned or Used, anyway you say it, it saves you money. 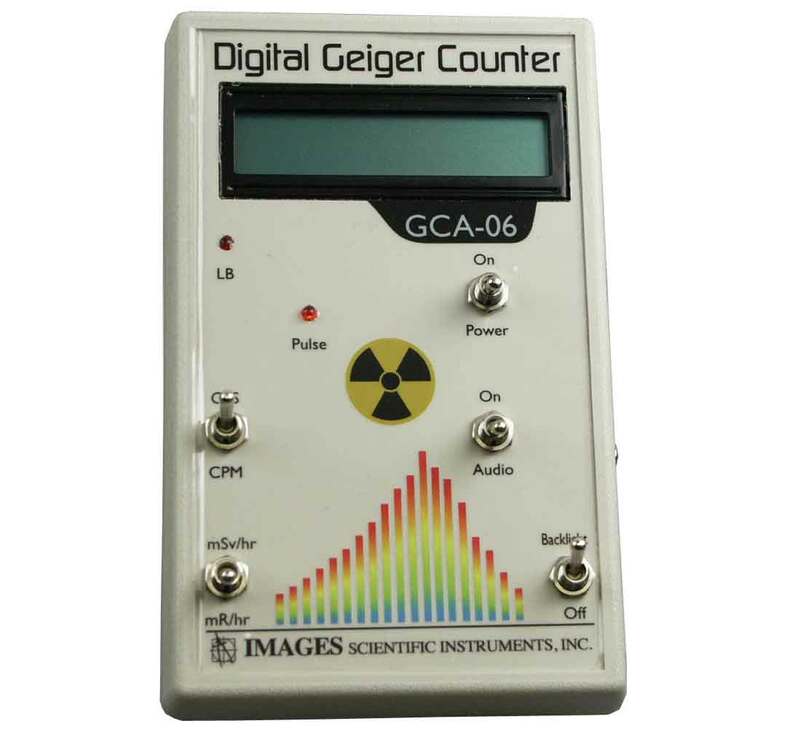 Our used Digital Geiger counters are retired rental units. 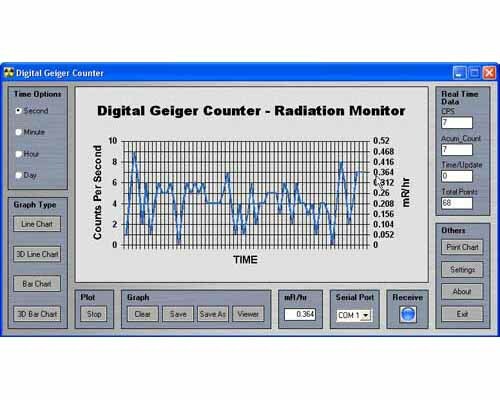 To qualify to be sold, these Geiger counters have passed the same strict specifications and certifications required of our new Geiger counters. Digital Geiger Counters (GCA-06W/GCA-07W) have a 30 day return policy.